Scientific research and articles about hyperlexia. I am a research junkie. 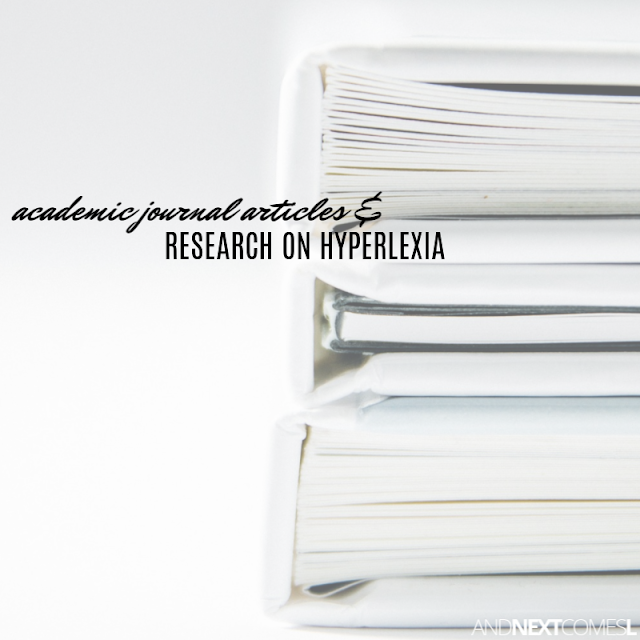 In particular, I love to read through academic and scentific journals about topics that interest me, including autism and hyperlexia. Just the other week someone in my hyperlexia support group had a good chuckle about me reading an article about fMRI imaging and hyperlexia on a Saturday morning! See, totally nerdy! 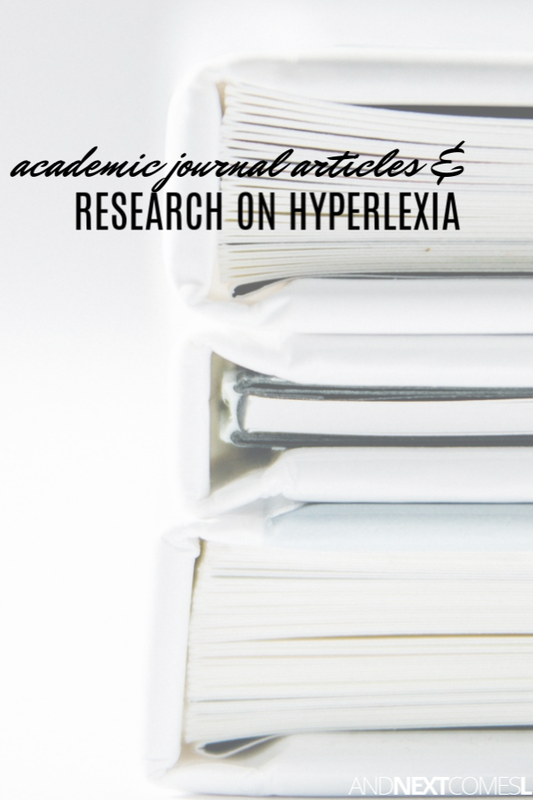 So if you are interested in learning about hyperlexia through scientific research and academic journals, then you're in luck! There's 25+ research articles and studies below to read through. You know...in case you are a research nut like me or you need a little light bedtime reading. The academic articles and research below are included for informational purposes only. Inclusion of the links below are not reflective of my opinions. In fact, I haven't even read most of these yet! So this list of articles is as much for me to read through as it is for you! At the time of publishing this blog post, all links worked. If you come across any that don't work, then let me know in the comments so that I can keep this post up to date. All links will direct you to the full free PDF or text version of the article. I also recently learned about this video discussion about hyperlexia with Dr. Treffert. I haven't watched the whole video yet, but I will include it below for you to check out as well.